FDA Warns U.S. Consumers Not To Order Medicine From CanaRx : Shots - Health News Critics question claims by federal officials that CanaRX jeopardizes patient safety. Many U.S. companies, cities, counties and school districts rely on the firm to help employees get cheaper medicine. The Food and Drug Administration suggests consumers who get prescription drugs mailed to them via CanaRx are at risk of getting mislabeled or counterfeit drugs. But consumer watchdog groups say the FDA has supplied no evidence that's happened. Cities and local governments in several states say they will continue to use a Canadian company to offer employees prescription drugs at a highly reduced price, even though officials from the U.S. Food and Drug Administration have raised safety concerns about the practice. 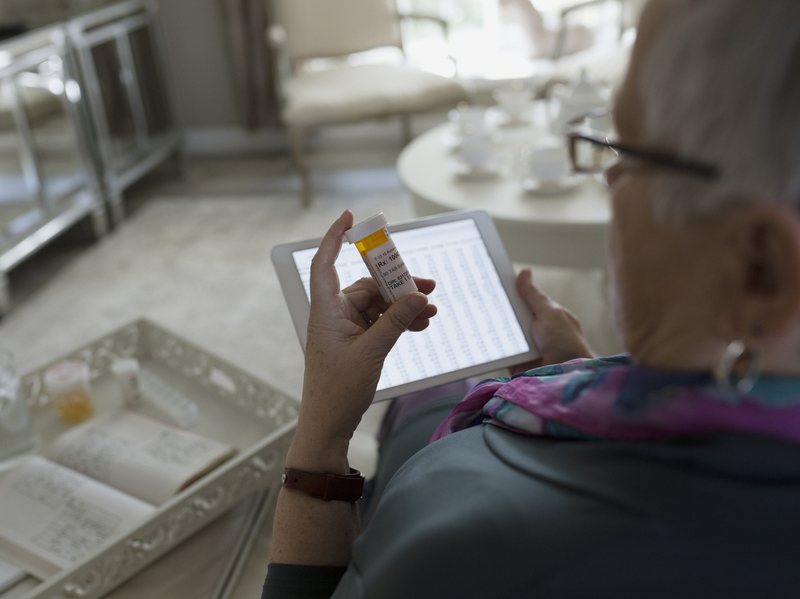 The municipalities use CanaRx, which connects their employees with brick-and-mortar pharmacies in Canada, Great Britain and Australia to fill prescriptions. In a letter sent last week to CanaRx, the FDA said the company has sent "unapproved" and "misbranded" drugs to U.S. consumers, jeopardizing patient safety. The FDA also urged consumers not to use any medicines from CanaRx, which works with about 500 cities, counties, school districts and private employers in the United States to arrange drug purchases. Some of these employers started using the service as far back as 2004. Prices of drugs from overseas pharmacies can be as much as 70 percent lower than what people pay in the U.S. because the costs are regulated by the foreign governments. FDA officials would not explain why they waited more than a decade to act. They acknowledged the agency had no reports of anyone harmed by drugs received through CanaRx. The FDA made its warning as Congress and the Trump administration look into ways to lower drug prices. Last month, Florida Republican Gov. Ron DeSantis said he has President Donald Trump's backing to start a program to begin importing drugs from Canada for state residents. After DeSantis' comments, White House officials stressed that any such plan must get state and federal approvals. The FDA says that in most cases importing drugs for personal use is illegal, although it very rarely has tried to stop Americans from bringing drugs across the Canadian border. It has not stopped retail stores in Florida that have helped consumers buy drugs from Canada since 2003. Nine storefronts were raided by FDA officials in 2017, although the FDA has allowed them to continue operating. Schenectady County in New York, which has worked with CanaRx since 2004, defended its relationship and has no immediate plans to end it, according to Chris Gardner, the county attorney. "We will wait to see how this plays out, but right now it's status quo," Gardner says. He says CanaRx, which is headquartered in Windsor, Ontario, helped the county save $500,000 on drug costs in 2018. About 25 percent of the county's 1,200 workers use the program and get their drugs with no out-of-pocket costs. If they use American pharmacies, they generally have a copayment. "This is a good program, and on the merits it looks lawful, and they are not doing the terrible things that the FDA is suggesting," Gardner says. CanaRx officials deny they have been breaking any laws or putting Americans' health at risk. They say they are not an online pharmacy but a broker between U.S. employees and brick-and-mortar pharmacies in Canada, Australia and Great Britain. People can buy drugs via CanaRx only with a prescription from their doctor. The company says it has no plans to stop distributing drugs. "The FDA's characterizations of the CanaRx business model and operating protocols are completely wrong," says Joseph Morris, a Chicago-based lawyer for the company. "It is not possible to place an order via any CanaRx website; the websites are informational only." Morris says the FDA notice has prompted calls from many municipalities; but so far all say they plan to stick with the company. The FDA warning says online pharmacies that purport to sell drugs from Canada, Britain and Australia may actually get their drugs from other countries, which would increase the risk consumers are dealing with counterfeit drugs. CanaRx says that "it contracts with government-licensed physicians, pharmacists and pharmacies in Canada, the United Kingdom, and Australia ... to supply brand name medications, packaged and sealed by the original manufacturer, for direct delivery to all participants." Gabriel Levitt is president of pharmacychecker.com, an independent website for U.S. consumers that verifies international pharmacies offering drugs online. He notes that the FDA's warning letter offered no evidence CanaRx has distributed any counterfeit drugs since it began business almost 20 years ago. Columbia County, N.Y., has been using CanaRx for about a decade and says the savings allows it to offer employees drugs with no out-of-pocket costs, instead of requiring them to pay as much as a $40 copay in local pharmacies. "This is bull," Stephen Acciani, an insurance broker who works with the county, says of the FDA crackdown. "They are not selling unsafe medications." His recommendation would be for the county, which has more than 600 employees on its health plan, to continue using CanaRx. Acciani notes that employees receive the medicine through the mail in its original packaging from the manufacturer. "It will give some clients pause," says Kate Sharry, a benefits consultant to the city of Fall River, Mass., and more than 100 other municipalities in the state. "How can you not pay attention to this from the FDA?" But she expects the local governments to stay with CanaRx. Federal health officials under both Republican and Democratic administrations have blocked efforts to legalize importing medication, saying it's too risky. "Sometimes a bargain is too expensive," says Peter Pitts, a former FDA associate commissioner (from 2000 to 2004)who is now president of the Center for Medicine in the Public Interest, a New York-based nonprofit that receives some of its funding from drugmakers. Pitts, who applauds the FDA action, says it's difficult for consumers to know when their pills from foreign pharmacies don't have the correct potency or ingredients. He says doctors may also not realize a patient's problem stems from issues with the medicine. Instead, the physicians may just change the medication's dosage. He says it is not safe for Americans to buy drugs that are imported through foreign pharmacies. Levitt says CanaRx is one of the safest ways for Americans to get drugs from legitimate pharmacies in Canada and other industrialized counties. The FDA is likely trying to intimidate CanaRx and its clients in local government, Levitt says. "My biggest fear is they will scare consumers, [who then] won't take their very safe and effective medications because they hear about this bogus warning," says Levitt. "The FDA's action," he says, "which appears to try and make those programs look unsafe and sinister, seems to have a political and public relations purpose — one that is perfectly allied with the lobbying agenda of drug companies." Levitt points to testimony FDA Commissioner Scott Gottlieb gave to a House subcommittee last week — just a day before the CanaRx warning, and ahead of his announcement that he will be leaving the FDA next month. When asked about importing Canadian drugs, Gottlieb did not mention CanaRx, but did say that people going to a "brick and mortar" pharmacy in Canada "are getting a safe and effective drug. I have confidence in the Canadian drug regulatory system." He added that his concerns are with online pharmacies. The Pharmaceutical Research and Manufacturers of America, the industry trade and lobbying group, has cheered the FDA action but denies it had any role in it, says spokeswoman Nicole Longo. "PhRMA supports the FDA's efforts to crack down on organizations that are circumventing its robust safety and efficacy requirements," Longo says. "Drug importation schemes expose Americans to potentially unsafe, counterfeit or adulterated medicines." Kaiser Health News is a nonprofit news service and editorially independent program of the Kaiser Family Foundation that is not affiliated with Kaiser Permanente.